Windows Phone 7: You cannot be series! 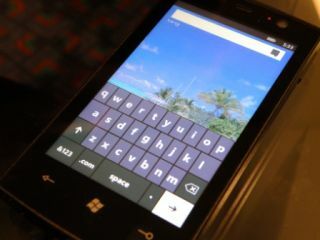 Headline writers will be rejoicing - Microsoft has dropped the 'Series' from Windows Phone 7 Series. As you can imagine, the new name will simply be 'Windows Phone 7', bringing it much more in line with the standard Microsoft branding. We were a little perplexed about why Microsoft went with such a long-winded title, as it went against the new 'simplistic' ethos of Windows Phone 7. It's cool to see the Windows Phone, rather than Windows Mobile, part of the name has stuck - a stark reminder that Microsoft is keen to distance itself from old and creaking mobile OS. The news was announced on the Windows Phone official Twitter page, where it was dubbed a 'Series Finale'. We'd like to see Microsoft going one step further and becoming enigmatic with all its branding - instead of Windows 7 and Windows Phone 7, just '7' and '7p' for arty effect.